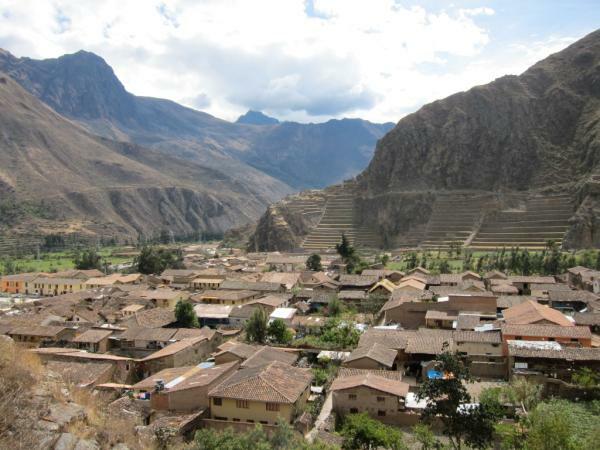 We spent a day in Ollantaytambo exploring the town and the ruins of the fortress/temple. The name of the town is hard to pronounce, but I think I’ve finally got the hang of it just as we’re leaving. 🙂 Ollantay was an Incan general and tambo is the Quechua word for resting place. This was were people came to rest while traveling throughout the Inca empire. This was where Manco Inca made his final stand against the Spanish before retreating into the jungle. He even dammed the Urubamba River and released it as the Spanish were attacking the fortress. But, the Spanish managed to survive the flood, and Manco Inca was forced to retreat. Check out our photos. Tomorrow, we’re taking the train to Machu Picchu! 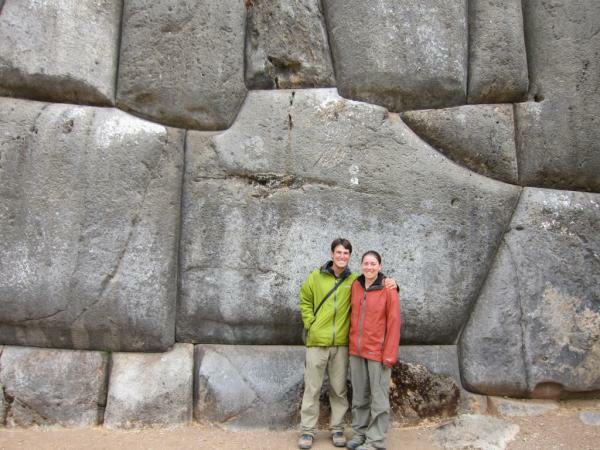 The Inca walls are amazing! 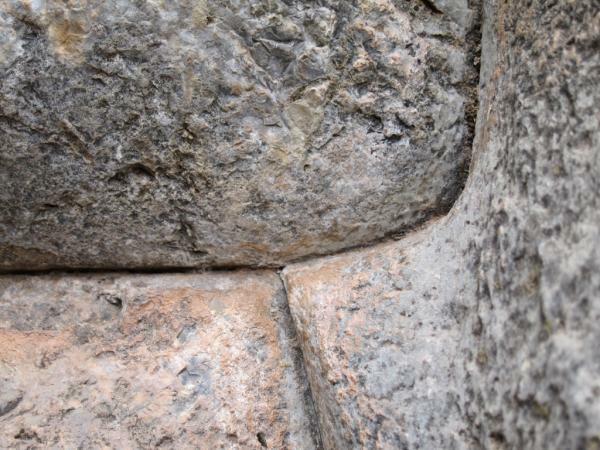 They fit huge stones together without mortar. The fit between the stones is so tight that you can't put a penny between the stones. We headed out on the Salkantay trek to Machu Picchu a few days ago. 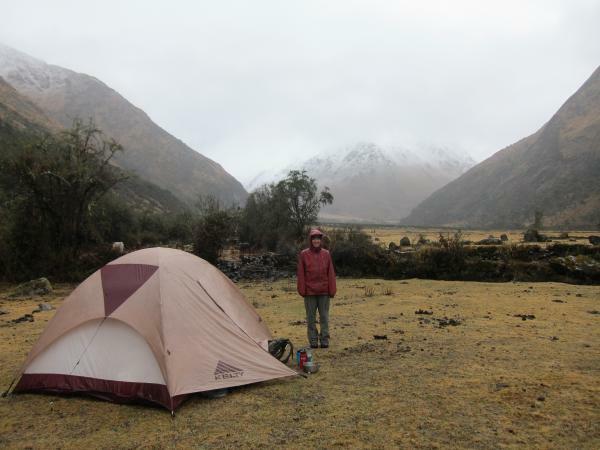 It was raining a little bit when we left Cusco, but the rain let up when we arrived in Mollepata. When we headed out the next day, it was sprinkling, but it continued to rain the entire day and the entire night. By the end of the day, we were cold and wet, and we hoped that the weather would clear the next day. However, the next morning the weather was the same, and both of us were suffering from some kind of stomach flu and didn’t feel well. Also, there was snow on the upper parts of the mountains the next morning, and we still had to go over a pass of 15,000 feet, which was probably covered in snow. So, we gave up and just headed back to Mollepata and caught a bus back to Cusco. The rainy season isn’t supposed to start until November, but it has been raining on and off ever since we arrived in Cusco. We’re hoping the weather will clear up and get back to normal, but it looks like there is more rain in the forecast. We traveled from Cusco to Ollantaytambo today, and things are looking better. It is warmer here, and the clouds cleared up this afternoon so we actually had some sun. 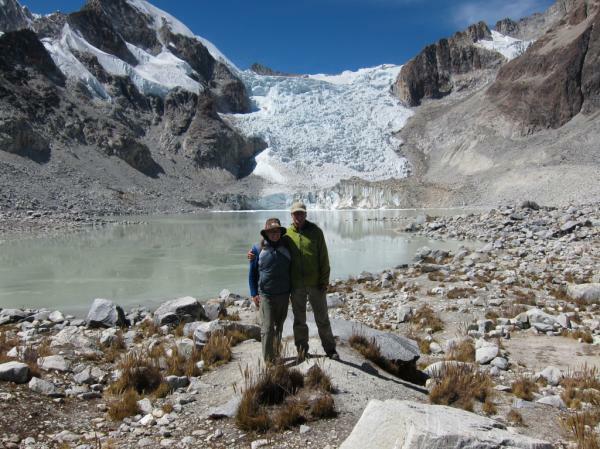 We’re going to spend a little time here doing some day hikes and then we’ll take the train to Machu Picchu. The morning after and the weather is still cold and rainy. There is an impressive mountain behind us, but it is shrouded in cloud. We spent six days hiking through Colca Canyon, the second deepest canyon in the world. It was a neat hike, but really intense. The first day, we decended 1,750 meters to the bottom of the canyon. 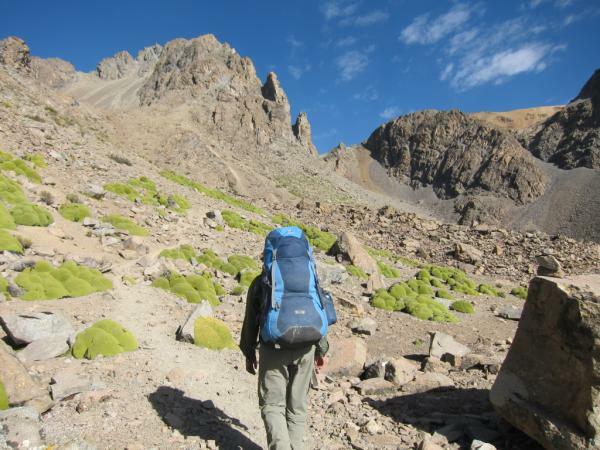 Over the next two days, we climbed 3,250 meters (10,662 feet) to a pass at 5,100 meters. Then, we desended 2,045 meters (6,709 feet) in one day to get to Chachas. We did a lot of hiking up and down on this hike, but the scenery was beautiful. 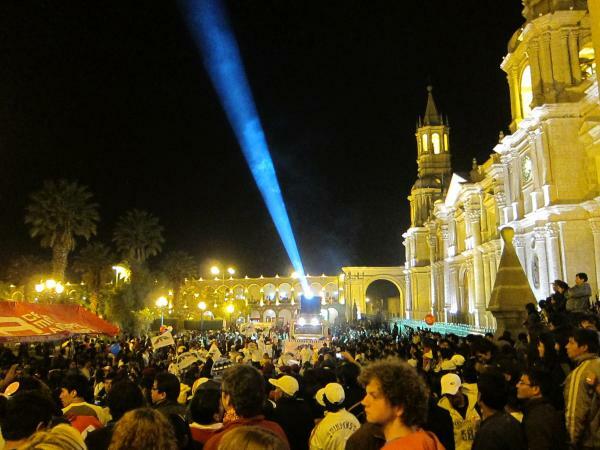 We arrived in Arequipa, Peru the night before their big celebration of founder´s day. The city was packed full of people, and we barely managed to find a hotel room for the night. The next day, there was an eight hour long parade throughout the city. People came from all over South America to participate in the parade. In our hotel, there were some men that traveled 16 hours by bus from the jungle to dance in the parade. It was a very impressive parade! 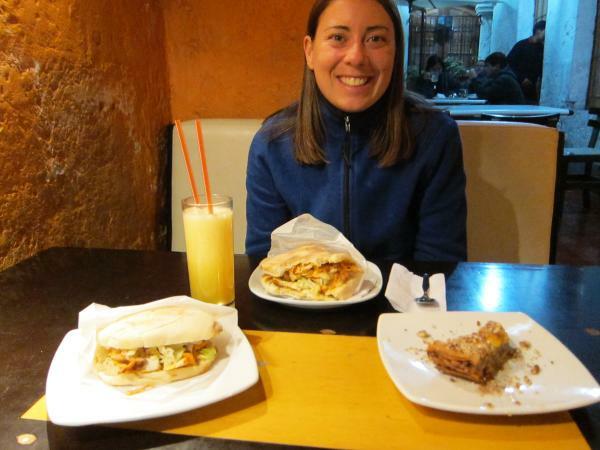 Arequipa is a city that was founded by the Spanish, so it definitely has a more Spanish feel to it. The parade was a little different than the parades we saw in Bolivia with more Spanish-style dancing than indigenous dancing. Check out the photos. 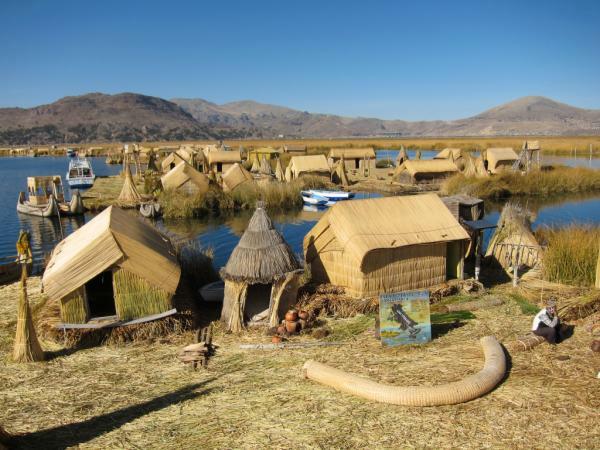 While we were in Puno, we visited the Uros and Taquile Islands on Lake Titicaca. Check out the photos! Non-litigious society: Bolivia´s motto is: ‘Fewer laws make fewer offenders.’ It definitely shows in Bolivia. It can be a little scary when traveling around the country. None of the boats have life jackets, and they do not look particularly sea-worthy. When crossing the straights of Tiquina, we could see the water through a gap in the boards on the bottom of the boat. You also have to be careful when walking around. There are suddenly big holes in the sidewalk where you could easily trip and hurt yourself. Construction areas are not blocked off. The Gringo Alley in La Paz, Sagarnaga street, was under construction, and there were people using heavy machinery right next to people walking down the street. On the positive side, anyone who wants to set up shop can just clear some space on the sidewalk and start selling, so it is really awesome to be able to buy anything and everything on the street. We saw a guy performing with balls of fire in the middle of a busy street intersection while the cars were stopped at red light. When the light turned green and the cars passed him, he asked for tips. You would never see anything like that in the US. Crammed buses, micros, boats: No matter where you travel in Bolivia, it is guaranteed that every square inch of space in the vehicle will be filled with as many passengers as possible. Buses and micros will stop anywhere to pick up an extra passenger. Fiestas: Bolivians definitely know how to party! The fiesta will most certainly not begin on time, but once it gets started, it will go on for hours. They have amazing parades with fancy costumes, lots of marching bands, and dancing. The parades in the US pale in comparison to those in Bolivia. Fires: Bolivians love to set fires! They set fires anywhere even if it’s right next to houses or in the middle of the city. While we were on the Choro Trek, we were camping alongside the trail, and we suddenly saw a huge fire on the side of the mountain. When we asked someone about it, they said the people set fire to the grassland to create better pasture for their animals, but the fire definitely seemed out of control. 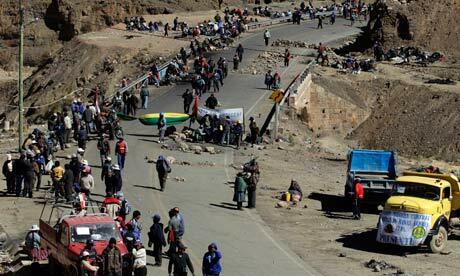 When riding the bus out of La Paz, we saw fires on the side the road right next to heavy traffic. Animals Everywhere: Especially in the countryside, there are animals everywhere: sheep, llamas, mules, donkeys, pigs, and dogs. It is common to see people herding their sheep down the street or road. Cheap: Everything in Bolivia was so cheap! You could get a huge meal for only a dollar or two! Even when we ate at nice restaurants, we never spent more than ten dollars! It will be hard going back to the US and adjusting the cost of things. We left Bolivia, and now we’re spending a few days in Puno, Pero. Check out the photos. 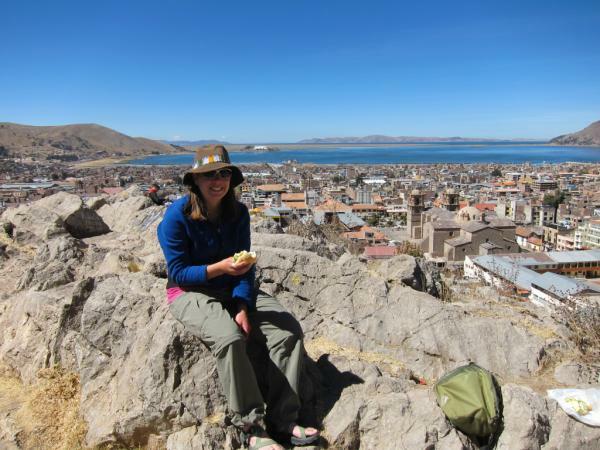 We also have photos from our ill-fated trip to Oruro. 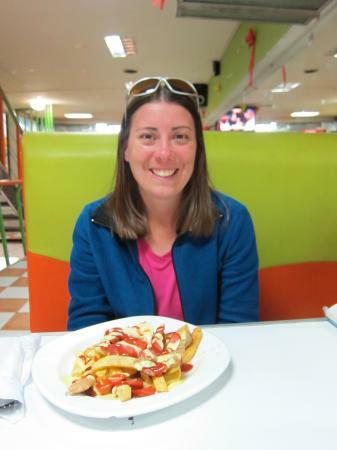 In line with how the rest of our day was going, we ordered the Salchipollo in Oruro not really knowing what it was, which turned out to be a gross pile of french fries, sausage, and a couple pieces of chicken covered with ketchup and mayonaise. Do not order Salchipollo! Yesterday, they finally agreed to meet with the government in Sucre. However, when they arrived, there were protests outside the building, and they couldn´t get in. So, they left saying the government closed the doors on them and broke off all dialogue. And in case things weren´t bad enough, now the president, Evo Morales, has left the country on a trip to Asia, so he´s not even around to negotiate. In addition, they´ve escalated the protest by seizing the electrical plant to the San Luis mine, and they´re threatening to shut off the power to the mine. In case all that wasn´t enough, there is a new law, which is causing massive protests, entirely seperate from the massive protests going on in the South! There have been huge protests throughout the country, and yesterday protestors bombed a customs building in Oruro! Check out AlexT´s comment, which is pretty much spot on with what is going on right now. We had lots of fun hiking in the mountains in Sorata. Check out the photos.